Lloyd House is a property located in Nehru Enclave East, Kalkaji, Delhi. 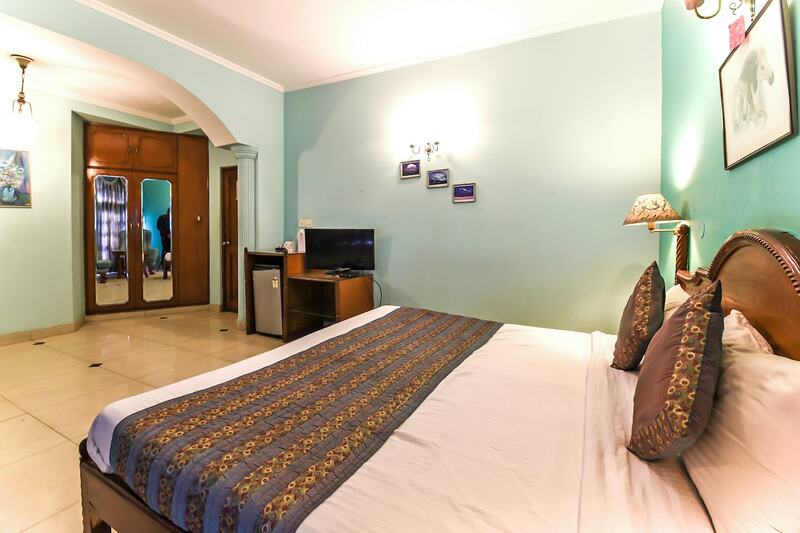 The hotel is situated close to Nehru enclave and Govind Puri. Greater Kailash, Haus Khas village, Khirki Masjid are also some popular spots to visit. The hotel provides a twin bed option apart from king and queen size bed options. There is a seating area for guests to meet and chat, and each room is equipped with a mini fridge. The Hotel provides amenities like free Wi-Fi, AC, TV, and hairdryer. It also has CCTV camera services. The hotel is at a walking distance from various restaurants like, Dhamaal gully, The Chatter house and Dominos Pizza .